My daughter, Dana and I laugh about this story all of the time. As a mother interested in preparing nutritious meals, I tried to introduce Dana to new and healthy vegetables while she was growing up. A vegetable that she particularly didn’t like was Brussels sprouts. Every once in awhile Dana would ask to try one again and would always wrinkle her nose and say, “yuck”! She went away to college and on one of her first visits home she requested a special meal that would include her favorite foods. Wasn’t I surprised when she requested Brussels sprouts as the vegetable. 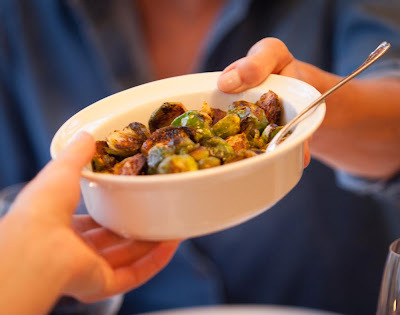 Brussels sprouts have been one of her favorites ever since and are frequently included in our Sunday supper. Through trial and error I came up with a recipe that is very simple and simply delicious. They have a buttery goodness that just might convert your family too. 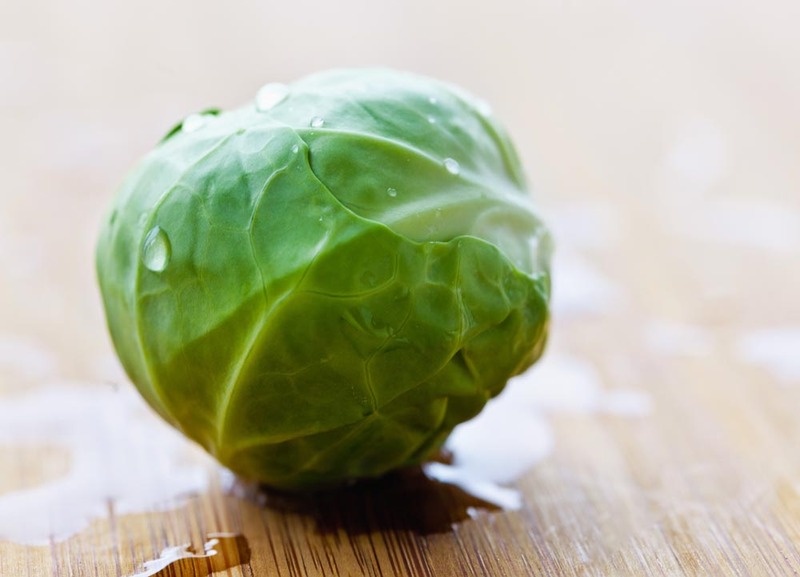 Rinse Brussels sprouts, remove any yellow or wilted outer leaves, trim stem ends and slice in half. 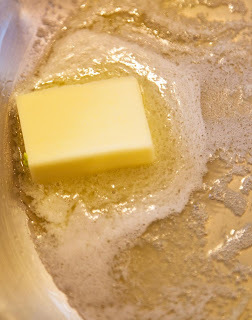 In a large saute pan melt the butter over low heat. 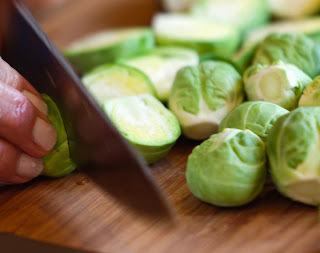 Add Brussels sprouts cut side down. Saute till they are a nice golden brown. 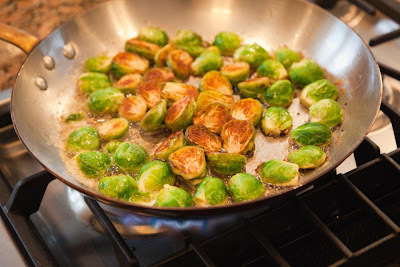 Flip them over and saute till the other side is also golden. Sprinkle with salt. Serve immediately! One of my fondest Sunday supper memories is sitting nestled on a kitchen chair, watching my mother prepare our Sunday supper. My mother was a pioneer in her day, working at a time when most other mothers stayed home. In her case, it was not by choice, but by necessity. The only day she had time to enjoy preparing dinner was on Sunday. She took her time slicing, chopping, and mixing. The house grew fragrant with the aroma from our oven. Since my mother worked, this was a special time for the two of us to sit and chat about everything happening in our lives; it was a lovely bonding time. Hours later we would sit down to the finest meal of the week. The following recipe is one that my mother made often. I have updated it over the years and it has evolved into one of our favorite Sunday suppers. 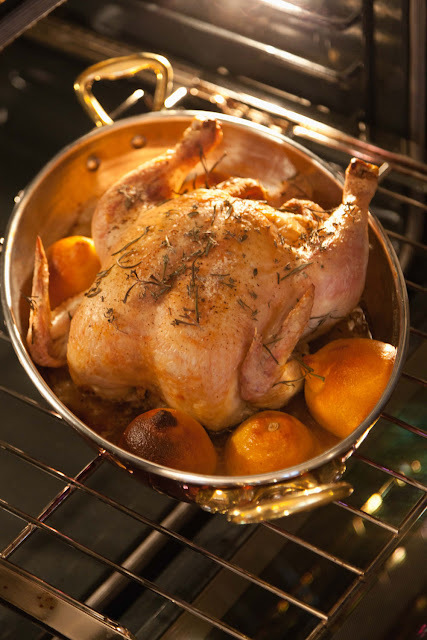 Preheat oven to 400 degrees F. Remove any giblets and excess fat from the cavity. Rinse the chicken and dry well with a paper towel. Roughly chop garlic and herbs, reserving about 1 tablespoon of the thyme and rosemary. Sprinkle cavity with salt and pepper. Stuff the cavity with garlic, herbs, and one of the lemons. Sprinkle the outside of the bird with salt and pepper to taste. 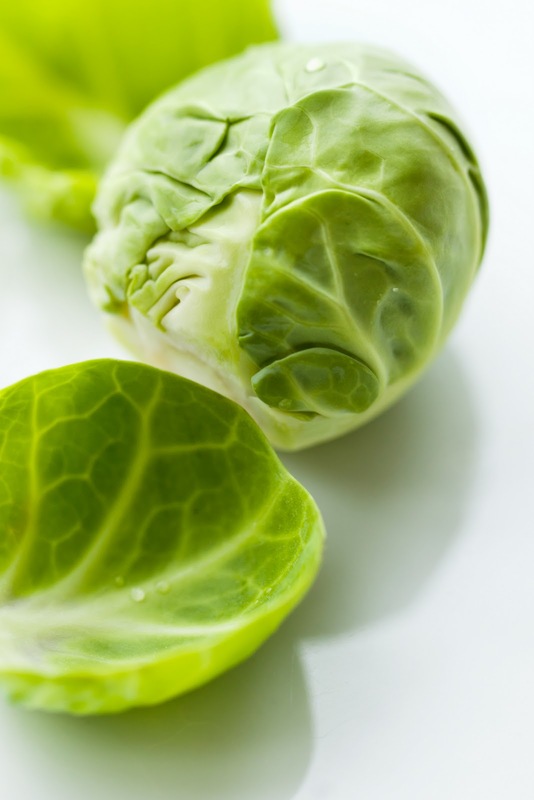 I usually use a fairly good amount of salt; which results in a crispy, flavorful skin. Sprinkle remaining herbs onto the chicken. 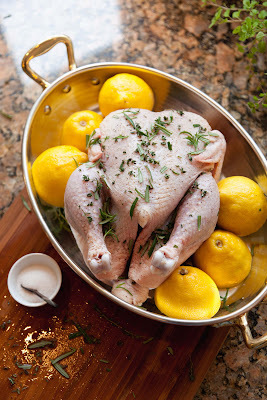 Place the chicken in a shallow roasting pan surrounded by the additional lemons, if desired. 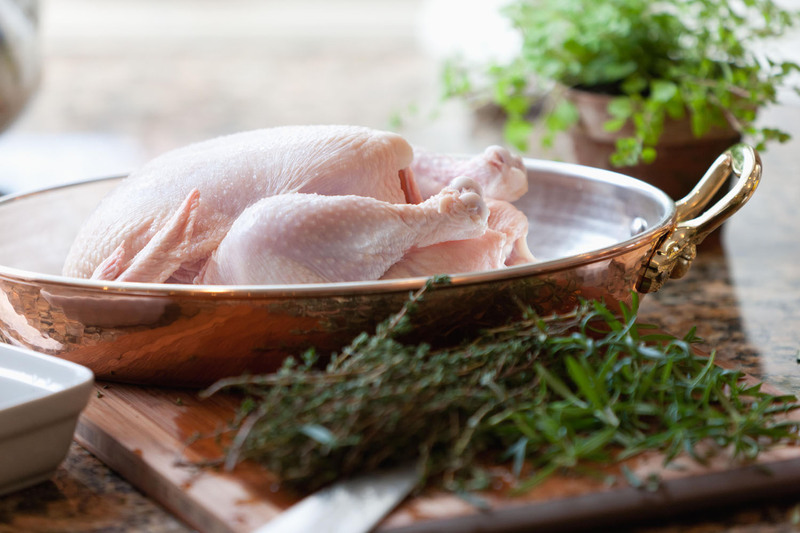 Roast for 60 – 65 minutes, check if it is done by inserting a meat thermometer into the thickest part of the thigh. It should register 180 degrees F. Remove from oven and let chicken rest for 10 minutes before carving. Serve with the pan juices and garnish with lemon halves. If you like a zesty, piquant taste you can squeeze juice from the lemons onto the carved chicken. Enjoy! 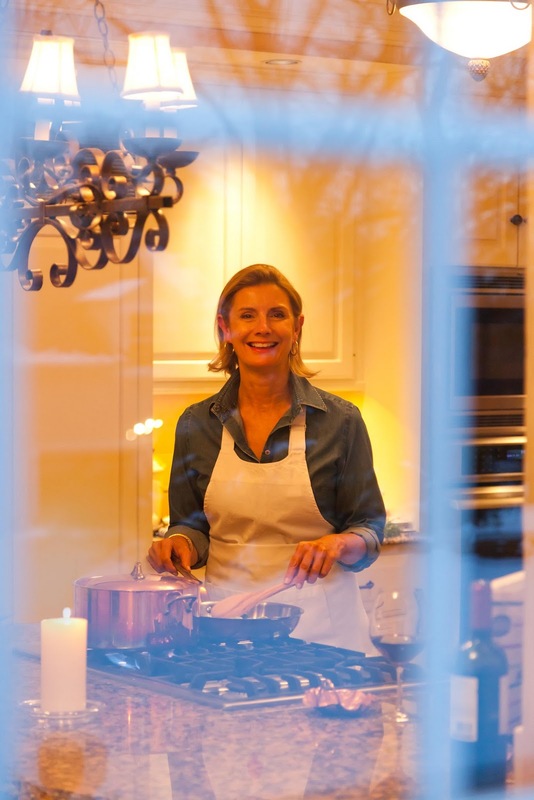 I’d like to invite you into my kitchen, introduce you to my family, and in the next few posts share one of our favorite Sunday suppers. We’re a small but close-knit family – my husband Jeff, my daughter Dana, and me. Welcome to Return to Sunday Supper! I’m Susie, and this is my blog, Return to Sunday Supper. As this blog grows, you’ll have the opportunity to meet some incredible people who will invite you into their homes and share their Sunday suppers with you. 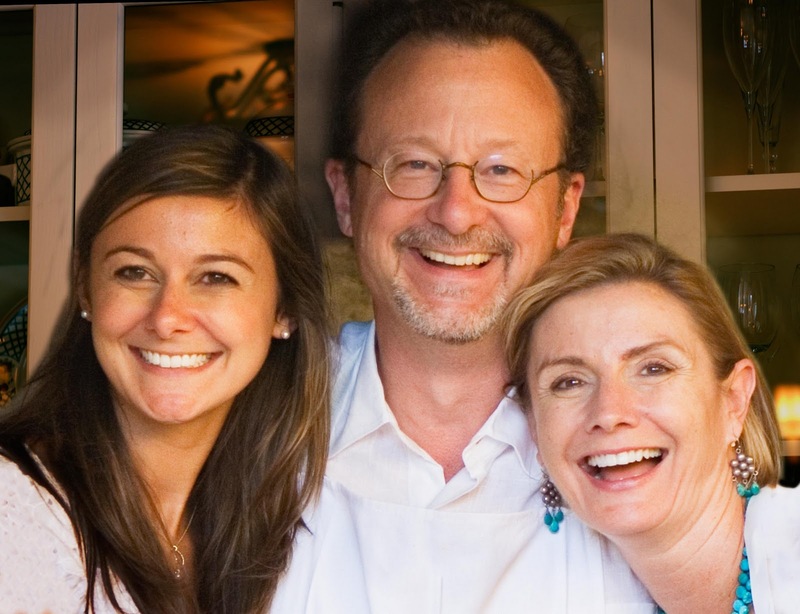 I hope you’ll do the same by joining us on a journey to rediscover what’s most important in our lives–family, friends, and food–and how Sunday supper brings out the best in them.